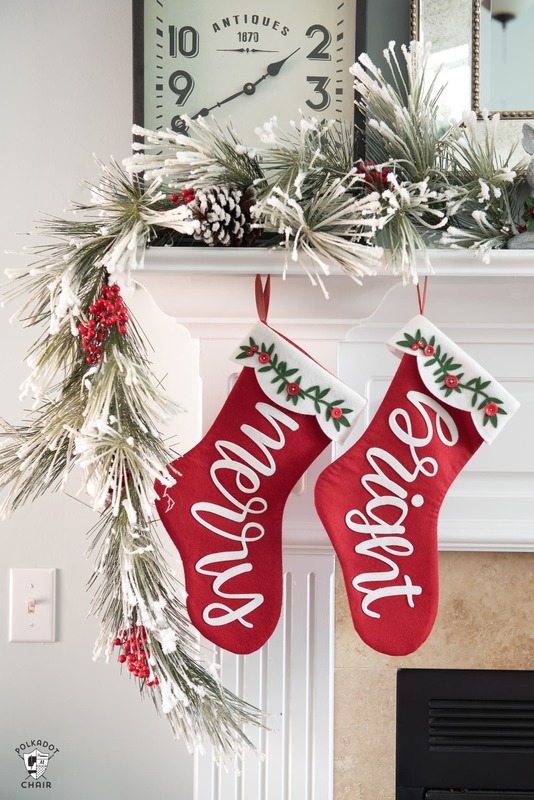 In honor of Cricut’s DIY your Holiday campaign, today I’m excited to share with you some wool felt Christmas stockings that I made with my Cricut Maker. The machine made cutting out the pieces of felt a breeze. 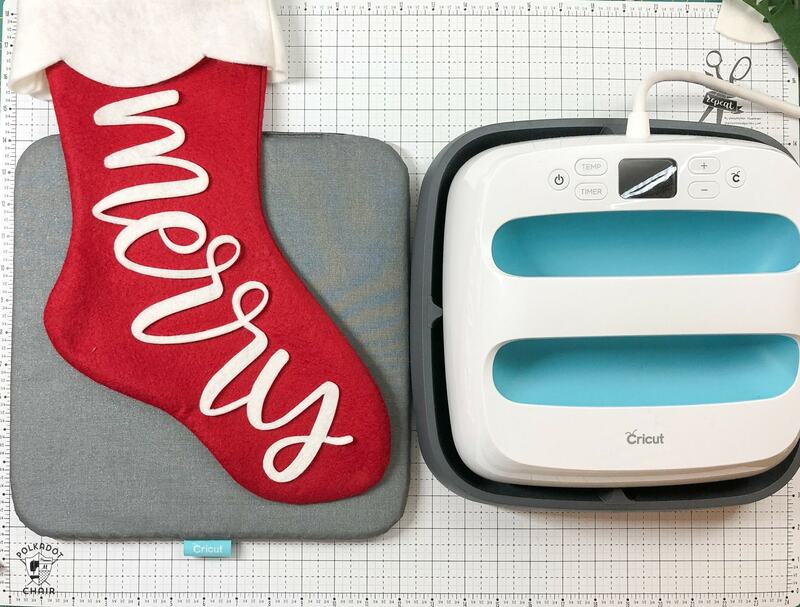 I’ve included instructions for cutting out the felt with the Cricut machine for you and a Christmas Stocking pattern. I work as a Brand Ambassador for Cricut and this is sponsored content. When the Cricut Maker was first announced one of the things I was the most excited to try with it was cutting felt. I love the look of felt on projects, but am not always the most patient person. Usually felt projects require a lot of cutting, so I tended to avoid them. 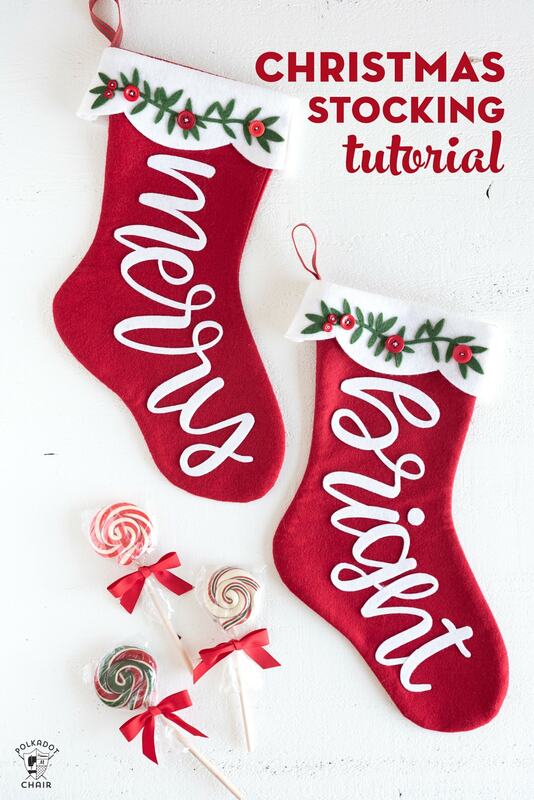 With Christmas coming up I knew that I wanted to make some fun Christmas stockings for our mantel, and decided it was time to figure out how to cut felt with the Cricut Maker and after a bit of experimenting, I think I found a method that works really well. 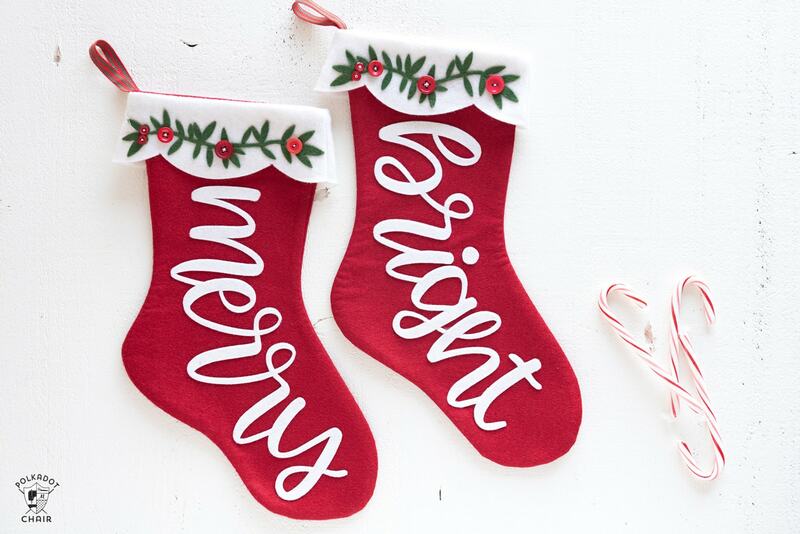 I love the hand lettering trend that’s’ going around the blogosphere lately and thought it would be fun to incorporate that trend into my Christmas stockings. I was able to find so many cute hand lettering images in Cricut Designs pace and had a hard time choosing just one, so I chose two. These stockings turned out a bit better than I was expecting (which is nice, usually I have the opposite problem)! I think I’m going to make 3 more so we have a matching set for our family (there are 5 of us). 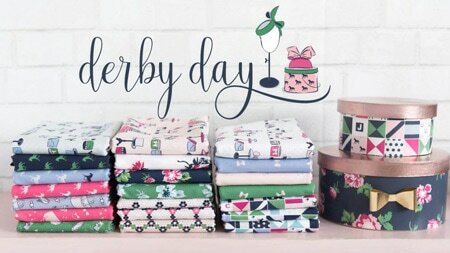 Today I’m going to share with you how I made them and how I was able to cut the felt on the Cricut Maker. 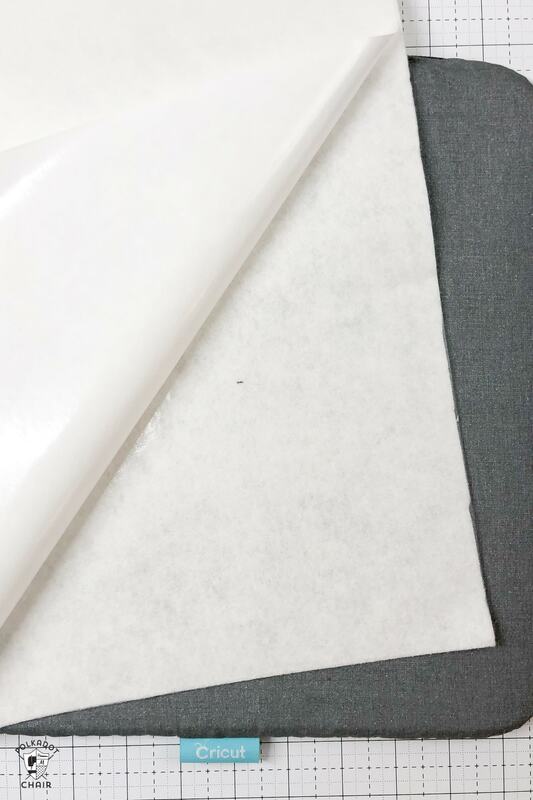 As many of you may know the Cricut machines use a sticky mat to hold materials while cutting. If the materials don’t stick to the mat then you don’t get a clean cut. Well the problem I had when I was trying to cut felt, was that the felt is fuzzy, so it will stick to the mat the first time, but try to cut again and the fuzz sticks to the mat, and then the mats not sticky anymore. Which is not great, because I’m not buying a new mat each time I want to cut felt. I realized that there needed to be a barrier between the felt and the mat. Each piece of felt that I cut either had fusible web bonded to one side or Cricut transfer tape. Using the Cricut Transfer tape I was able to cut non-bonded felt, and it didn’t leave a fuzzy residue on my mat. 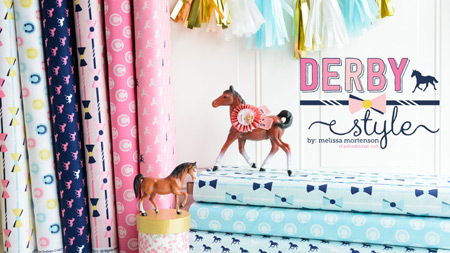 Plus the transfer tape is offered in bulk and is pretty inexpensive. 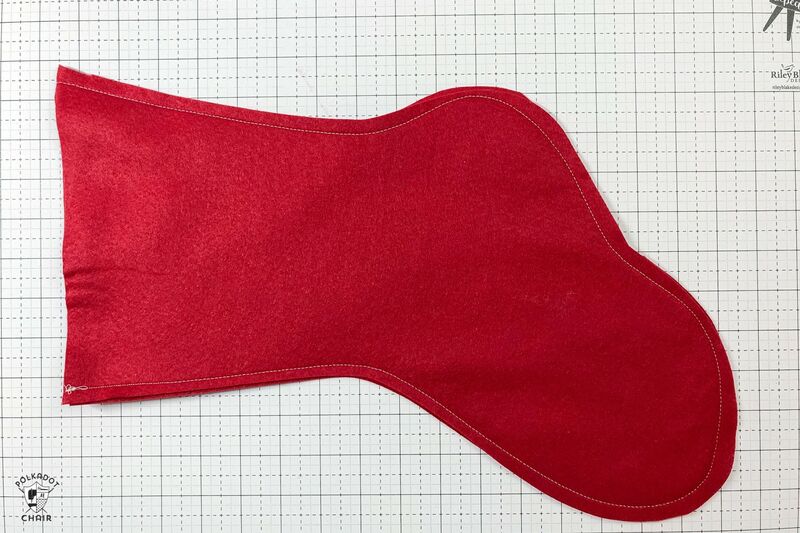 My project features both felt that is ironed on and felt that is sewn. 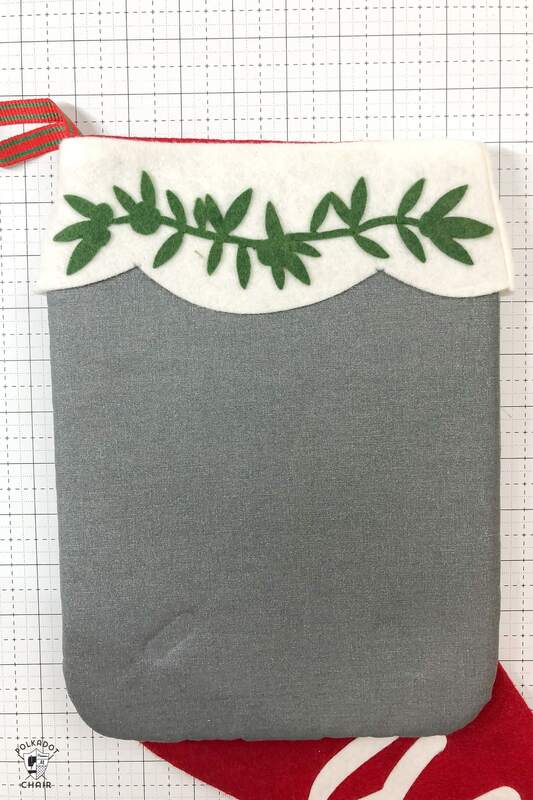 Obviously, I don’t want to put fusible on the felt that I was sewing (the stocking pieces) and I was so excited to find that the transfer tape worked so well! To cut the felt, I used a standard grip mat, Cricut transfer tape, the Cricut rotary blade and the “Felt Bonded” setting on the machine. It worked really well, even on the holly garland pieces, which in retrospect may have been too detailed to cut with the rotary blade, but hey it did work! 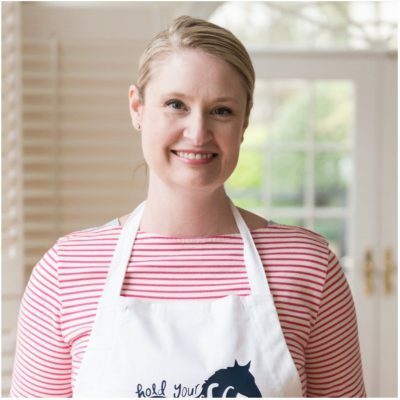 FYI: Right now Cricut is running their 12 days of holiday specials. I picked up a bunch of extra cutting mats at half off. There are new deals each day, to see what’s going on today you can CLICK HERE. I’ve already created the design for you which includes 4 different images from Design Space. 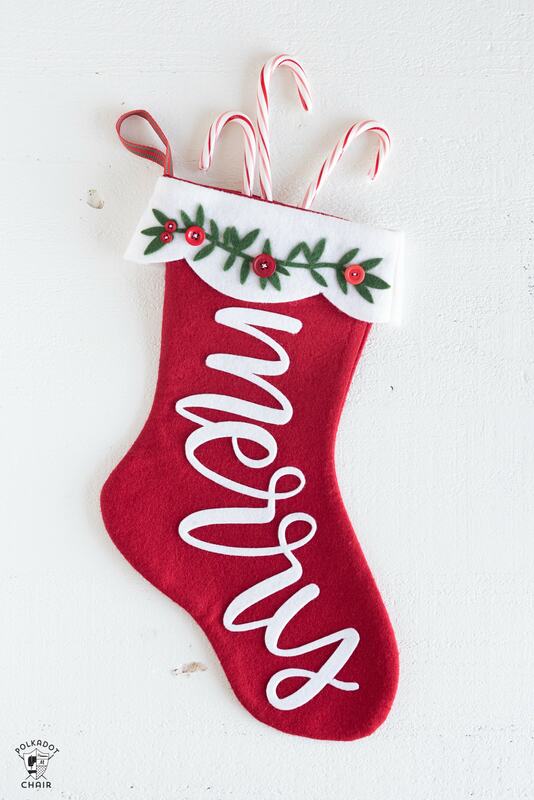 The stocking, the holly branch and both of the words. 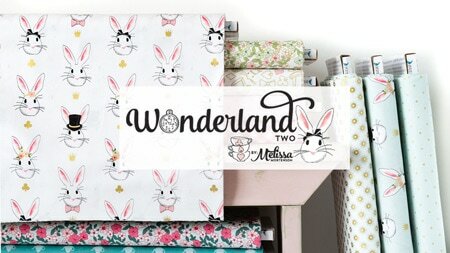 You can hop over to Design Space and find my project HERE. It’s ready for you to use. 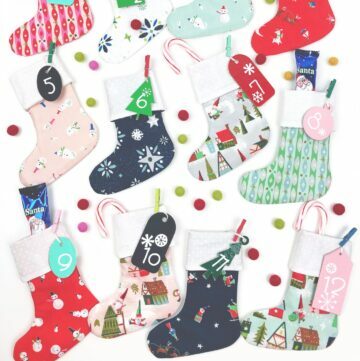 The stockings are about 18″ tall. You can make them smaller if you like, that’s the beauty of using a pattern like this, it’s easily resizable. When you click MAKE IT you will notice that it automatically separates the pieces onto mats by color. 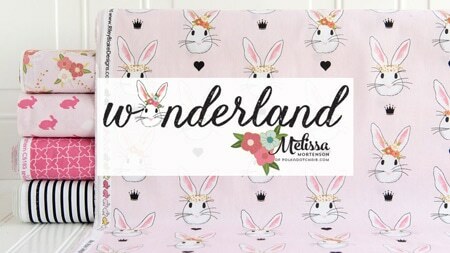 -Felt that gets cut out without fusible iron-on is cut with Transfer Tape attached. -Felt that gets cutout WITH fusible bonded does not get anything else attached to it. -When you place the felt on the mat, regardless of type, the fused/tape side is down. You don’t want the fuzzy side of the felt touching the mat. Open design space and size your stockings accordingly. If you want them smaller, make sure you select ALL the pieces at the same time so they resize together. On this screen note where your images are sitting on the mats. You can nudge things around as you like. 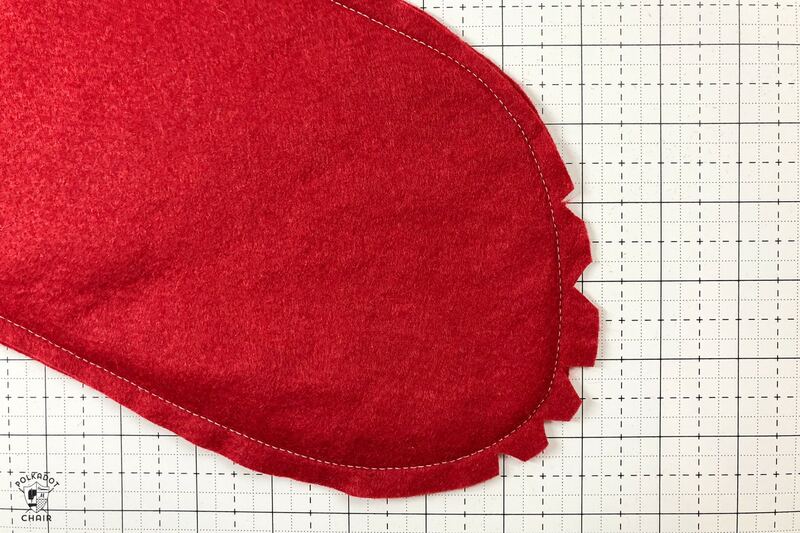 Make a note of what size you need to cut your felt for each color and piece. 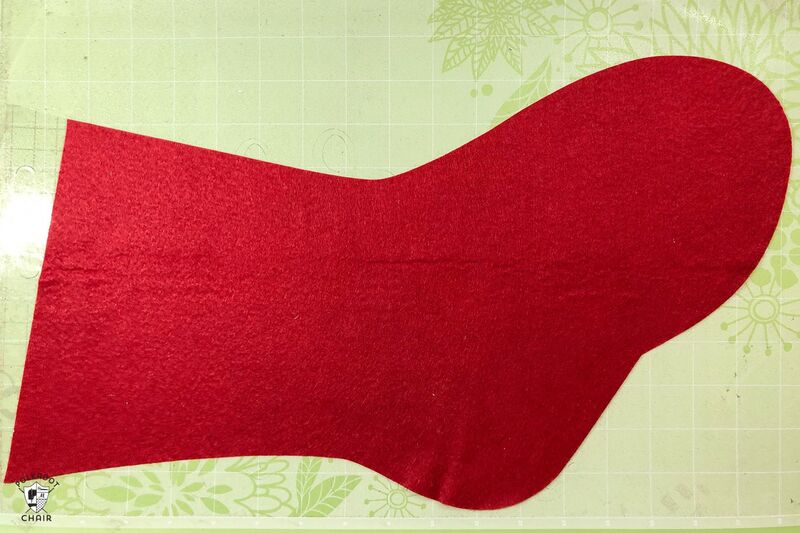 I cut 4 pieces of red felt 12″ x 19″ (4 because I was making two stockings, you need 2 pieces per stocking). I then adhered transfer tape to one side of all of the pieces, then loaded them onto my standard grip 12×24 mat. 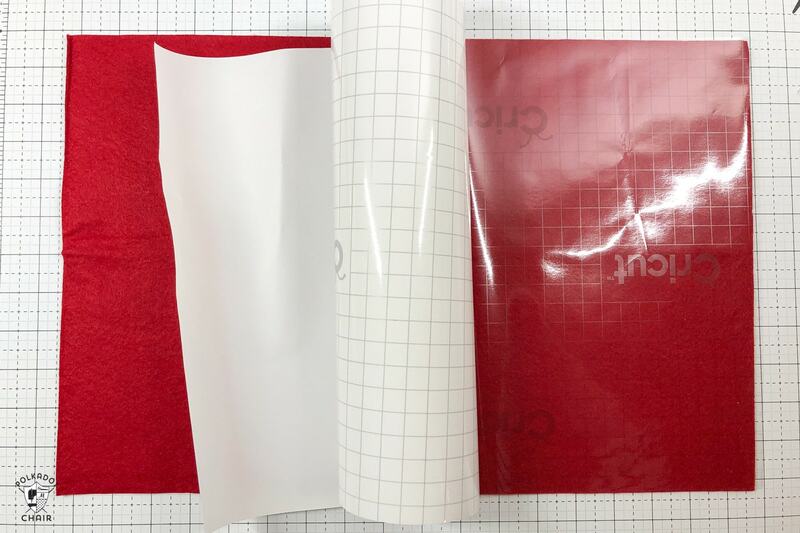 If you have more than one 12×24 mat this will go pretty quickly since you can prepare one mat while the other one is being cut. 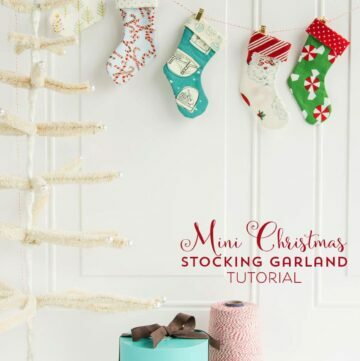 Apply transfer tape to one side of the stocking & stocking cuff pieces. 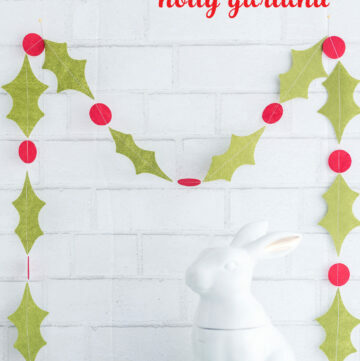 Apply paper-backed fusible web to the back of the word and holly pieces. 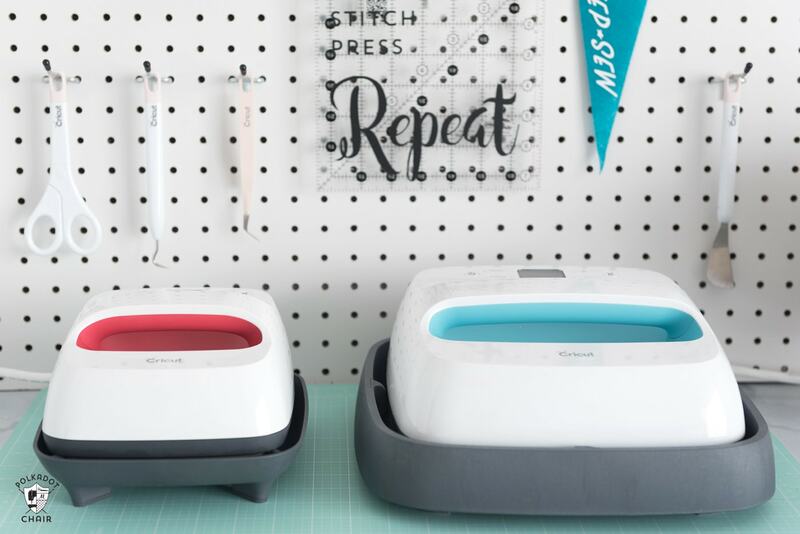 The Cricut EasyPress is a dream to use when attaching fusible web. I usually can’t get it to stick with my iron. I played around a bit and discovered that 20 seconds at 250 degrees adhered the web to the felt very well. 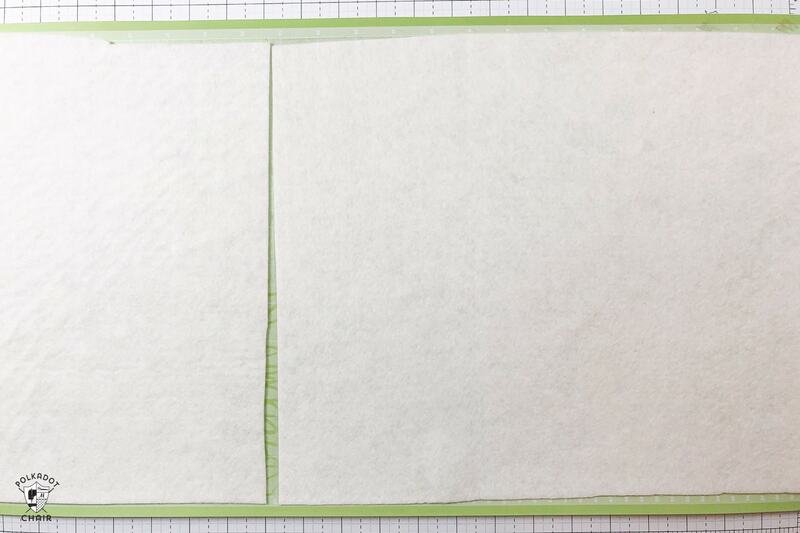 After the fusible web is cool, peel off the paper backing. 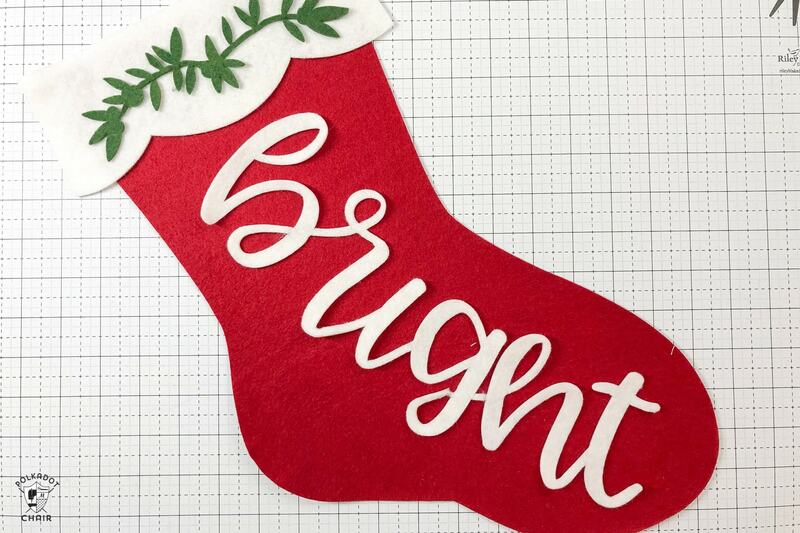 Since the “merry” and “bright” words need to be cut from webbing fused felt, and the stocking top pieces do not, you’ll need to load two pieces of felt on to your cutting mat. 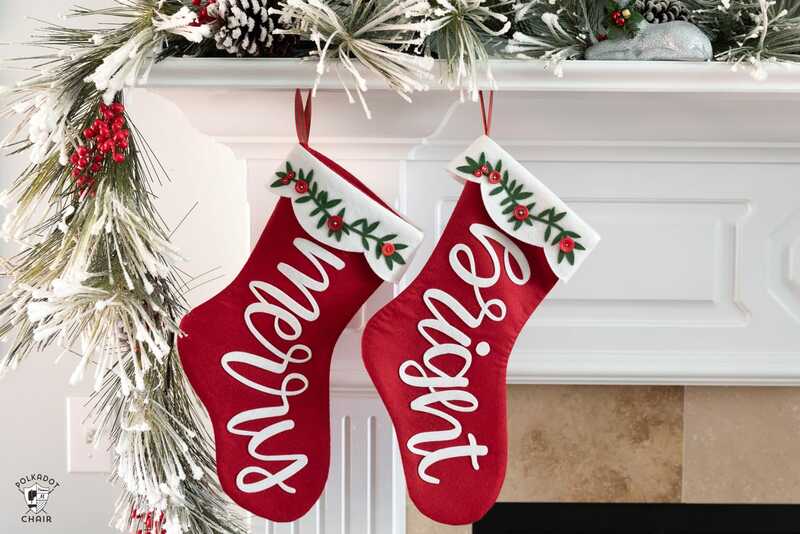 You can see from the image in design space that the letters come down to about 14″ and the stocking tops start just below 15. I nudged my stocking top pieces down a bit to give myself more space on the mat. Load the two white pieces of felt onto the Cricut mat. The fusible side/transfer tape side is down. Just a note: I would not do this with a brand new standard cutting mat. It’s just a bit too sticky, and the felt is a bit fragile when you peel it up. I’d use a more used cutting mat or the light grip mat instead. 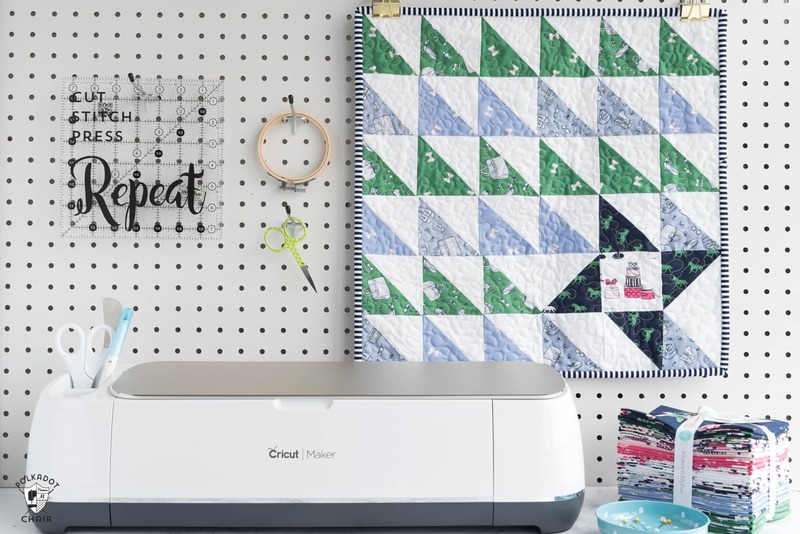 Click next in Cricut Design Space. Set the material to FELT BONDED. Then click EDIT TOOLS and change from the fine cut blade to the rotary blade. 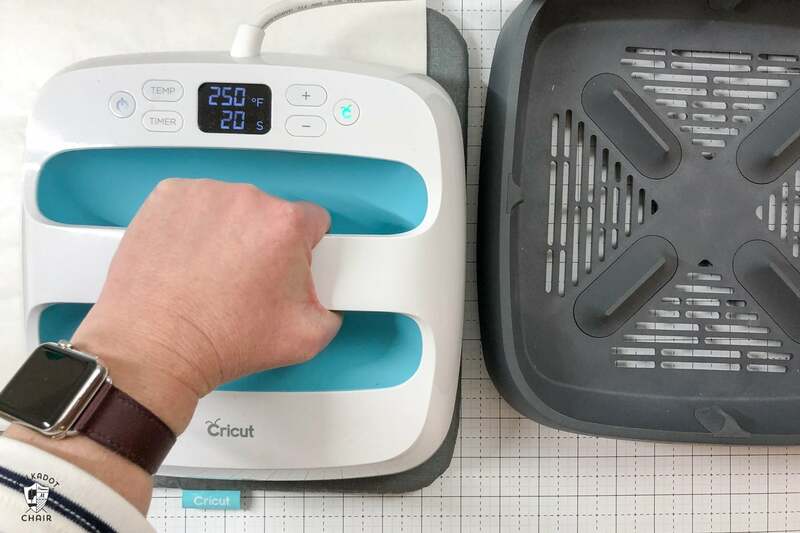 Load your mat, install the rotary blade, click the Cricut button and cut. When you’re done, gently pull away the extra felt and remove the words and stocking tops from your mat. I like to use the Cricut spatula for this part, it helps to pull the letters off gently. Keep cutting and loading mats as prompted in Design Space. 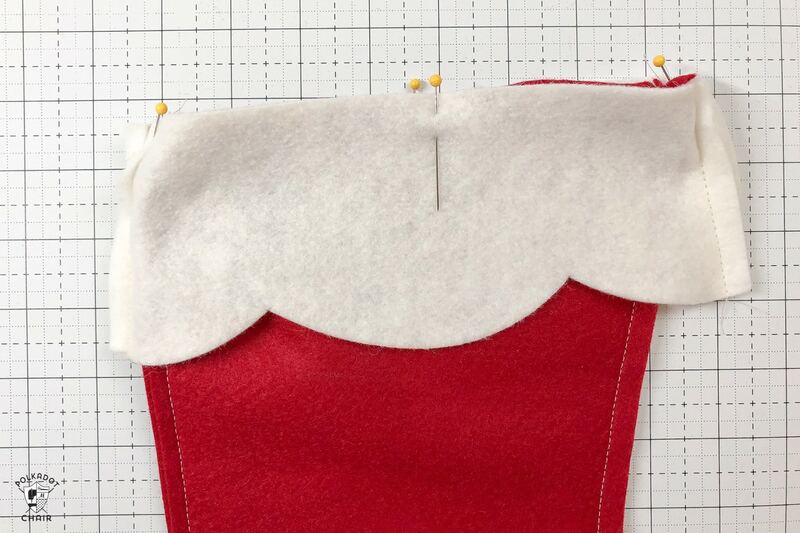 Pin two stocking pieces together and stitch along the outside edge with a 1/4″ seam allowance. 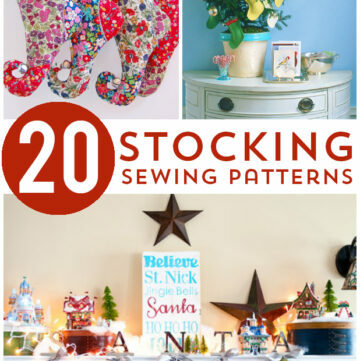 Pin two stocking top pieces together and stitch together along the sides only with a 1/4″ seam allowance. 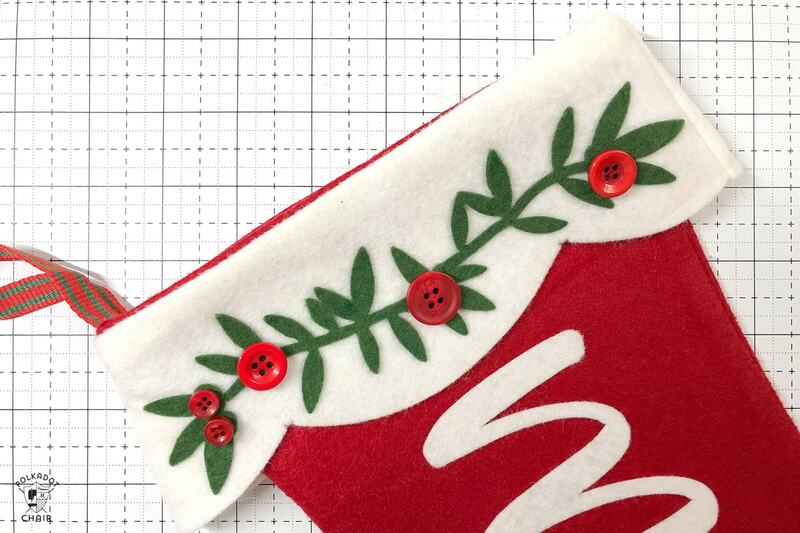 Cut a piece of ribbon 6″ long, fold over and place on top of the back seam of the sewn stocking piece. Pin the stocking top piece on top of the stocking piece. 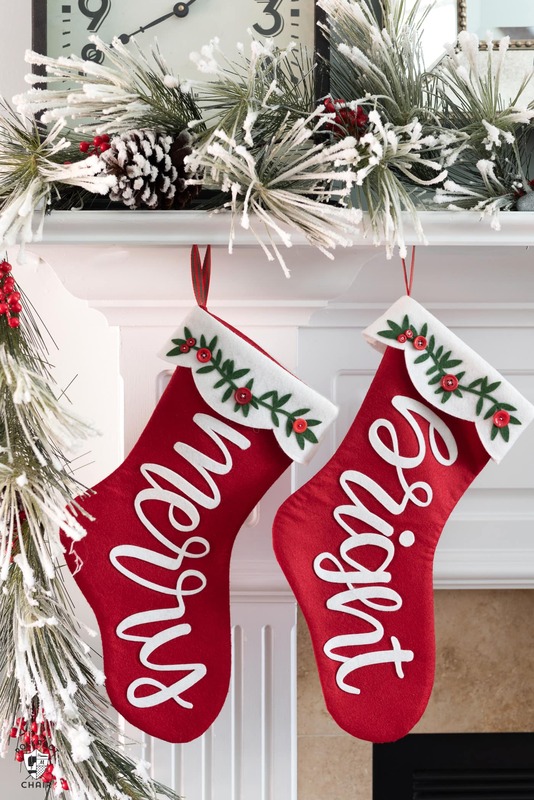 The right side of the stocking top will be facing the wrong side of the stocking. Stitch along the top edge with a 1/4″ seam allowance. 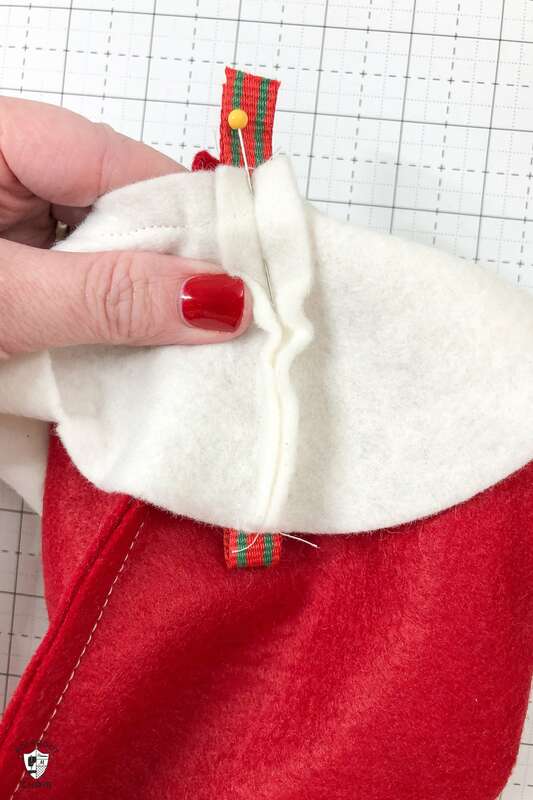 Clip the curves along the bottom and side of the stocking. Make sure you don’t clip into the seam allowance. Turn the stocking right side out and press. 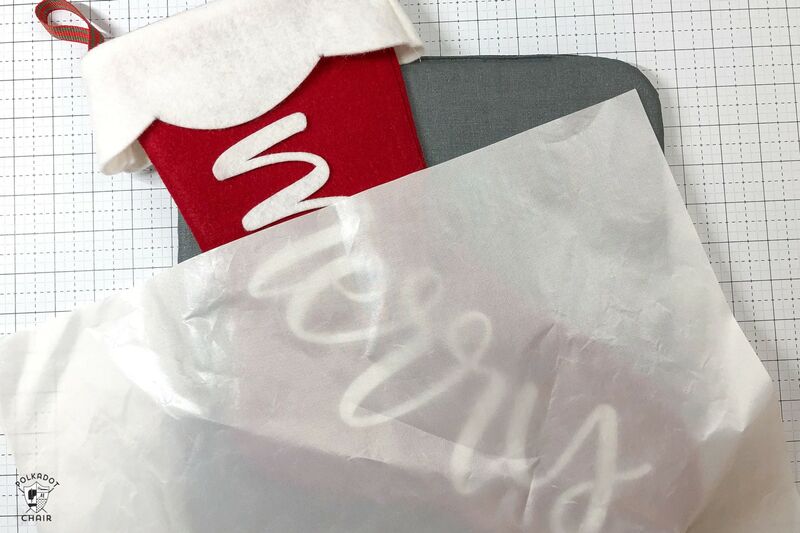 When you’ve got the stocking done and it’s pressed well, you’re ready to attach your word appliques. To attach the appliques I’m going to use the EasyPress. Since it provides consistent and even heat it’s great for attaching the appliques. 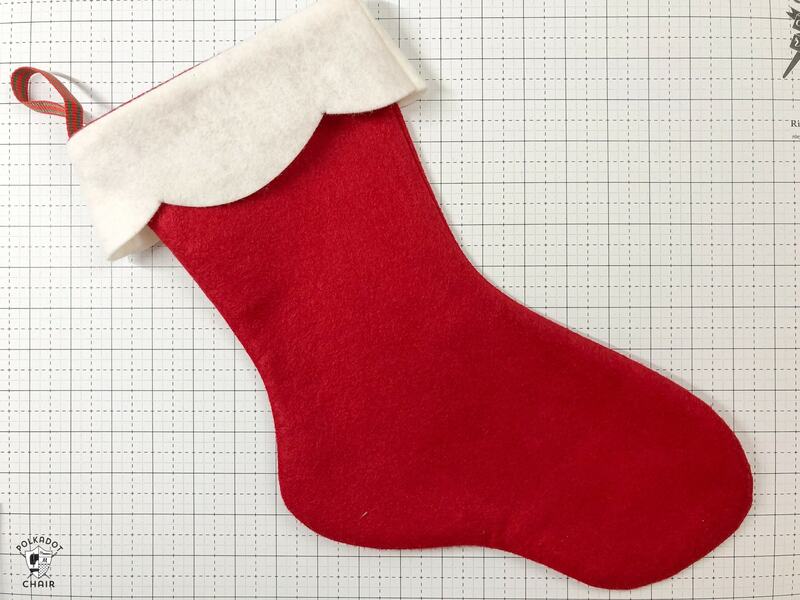 Place the applique where you’d like on the stocking. 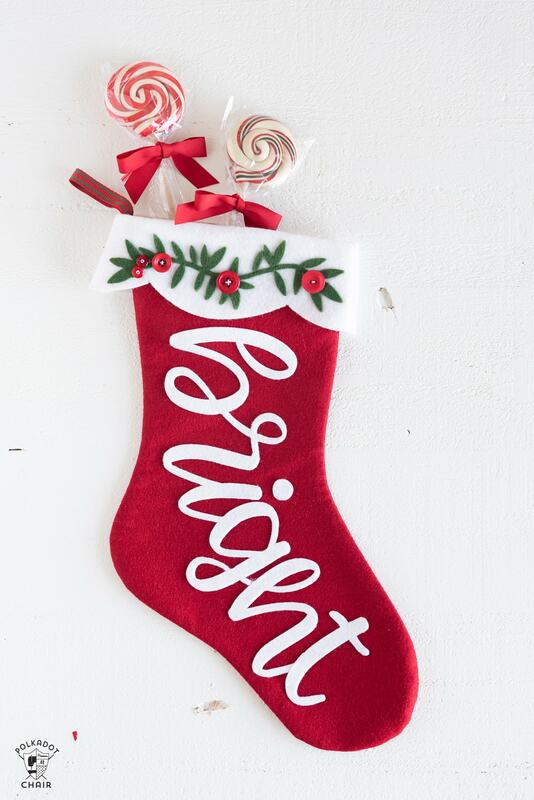 If you want you can clip the letters in the word apart a bit to curve the word to the stocking. 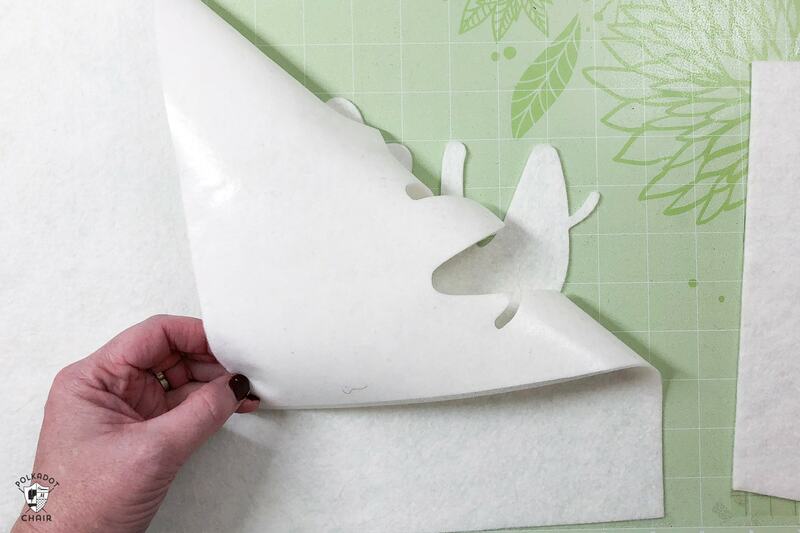 When it’s in place, put the stocking on top of the EasyPress mat, then over it with a silicone pressing sheet (You need to protect the felt from the high heat of the EasyPress). Since the piece was under the pressing sheet, I noticed that I needed to use a bit higher heat than before. I set my EasyPress on 350 for 30 seconds and it worked great. 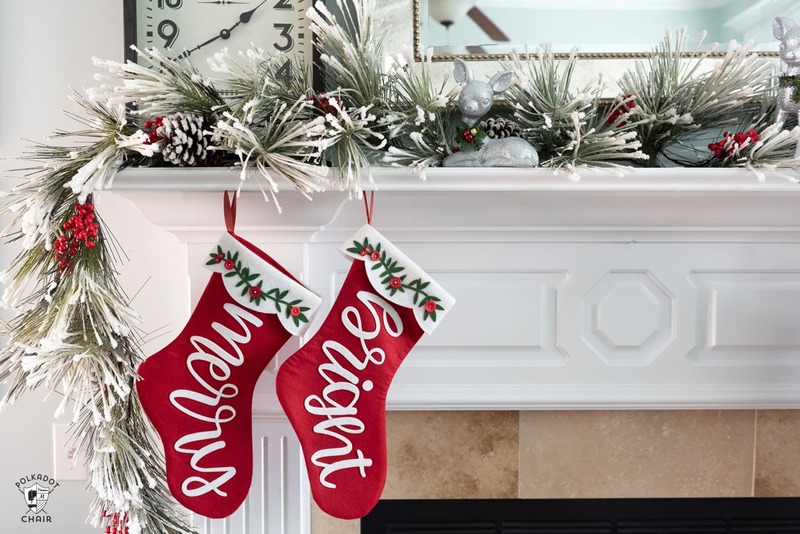 Repeat with the holly piece at the top of the stocking. I was able to fit the small EasyPress mat under the cuff of the stocking. The last step is to sew the buttons on the holly garland. Super cute and cheerful! When I go to design space and click make it, it is asking for money. Just wondering if this is correct, as you did not mention this. Thank you. It depends on the Cricut plan you have. Some are free with Cricut Access. 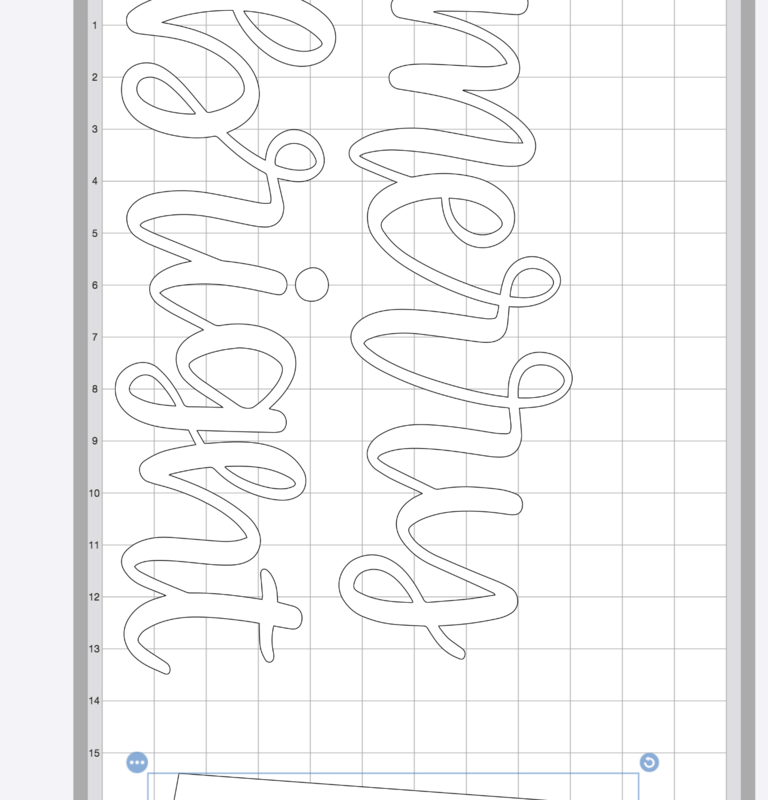 I used existing images in Cricut Design space, so that is why.